Do you love Darts? 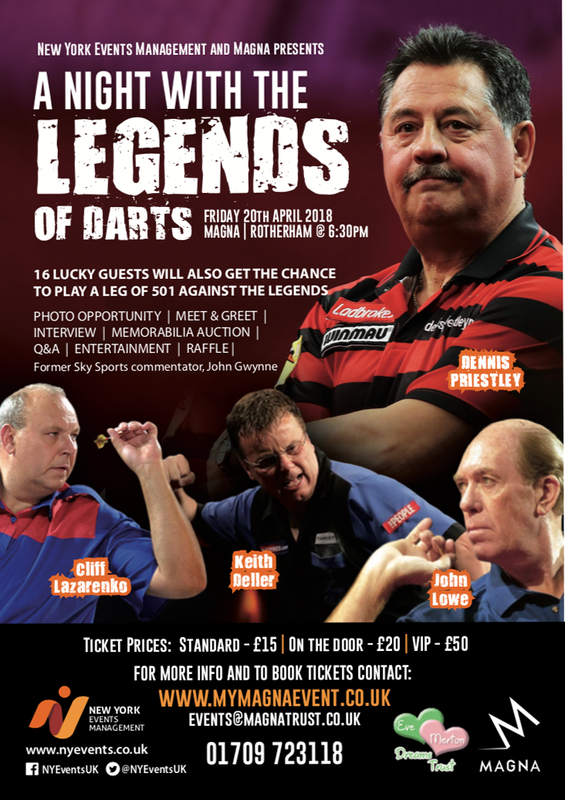 Well New York Events and Magna present, “A Night with the Legends of Darts” in aid of EvesTrust. Come and see some all-time legends of the game, including the 2 time World Champion and local hero Dennis Priestly, the great John Lowe, Keith Deller and Cliff Lazarenko. Enjoy a meet & greet, photo opportunity and interview. PLUS 16 Lucky guests will also get the chance to play a 501 Leg against the Legends.